TIA 810-B: Measurement of Narrowband Digital Phones – Listen, Inc. Complete sequence package for measuring narrowband digital phones to TIA-810B. TIA 810-B is a comprehensive US standard for measuring narrowband digital phones. Handset, headset and speakerphone functions are all included. 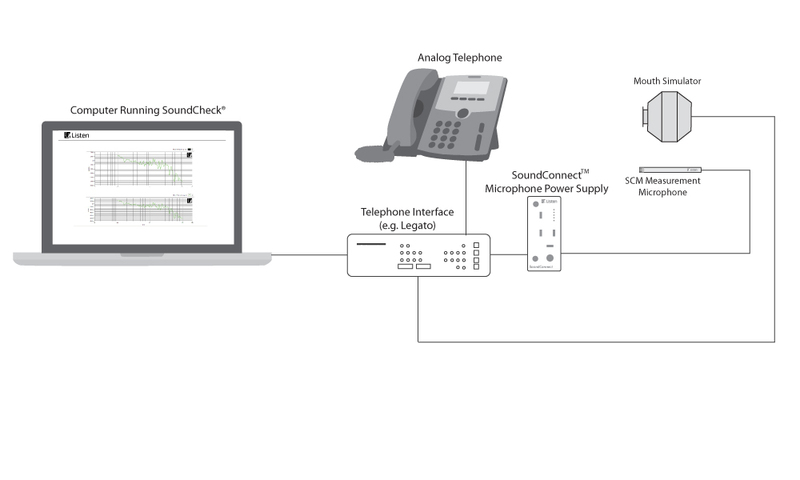 The standards apply to VoIP phones, as well as USB audio devices such as headsets, speakerphone attachments, and webcams. The module is a large structured set of sequences and subsequences which perform all the measurements. 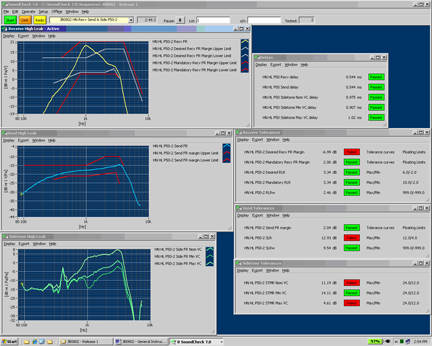 Curves and values are shown on the screen, tolerance checks are performed, and data is saved to Excel spreadsheet files. Completely prompted sequences for calibration of all the transducers are included. After a one-time setup with a sound card and other user-specific interfaces, the sequences are automatic. They run by simply selecting, pressing start, and following prompts where user interaction with the device under test is required. The sequence works with approved sound cards for connection to the transducers. 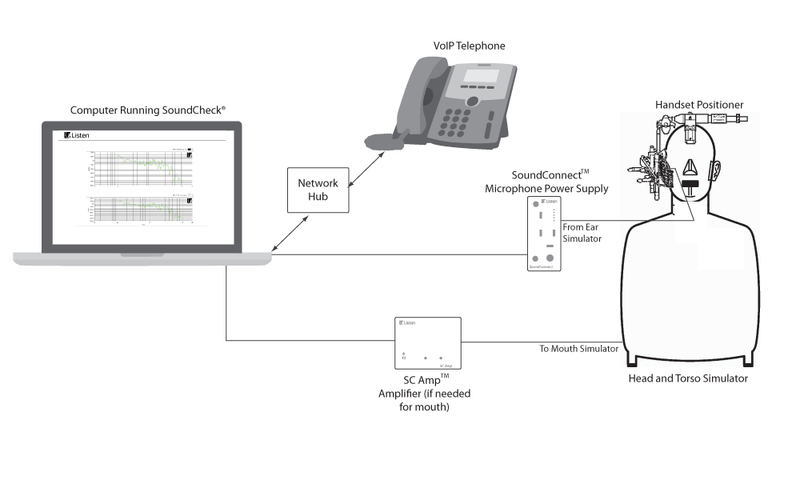 Windows audio devices such as USB headsets work directly with SoundCheck®. 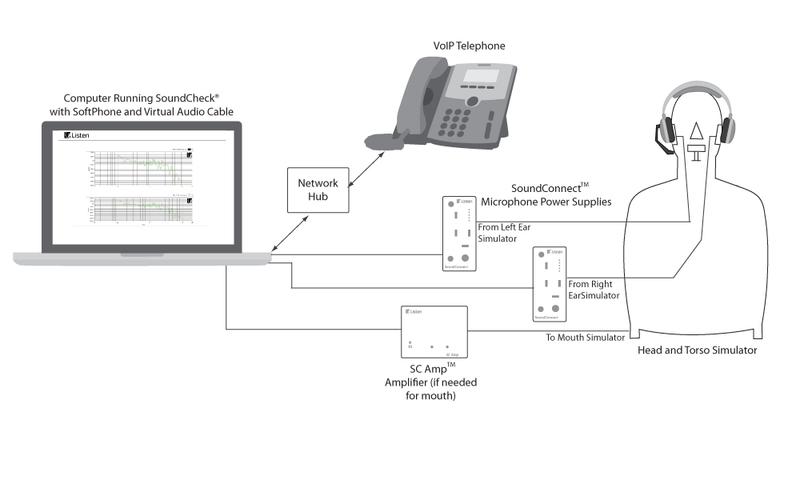 VoIP softphones also work with SoundCheck, by means of a recommended third-party Windows audio application. Due to the complex nature of this sequence, please refer to the detailed instructions that are provided as part of the package.